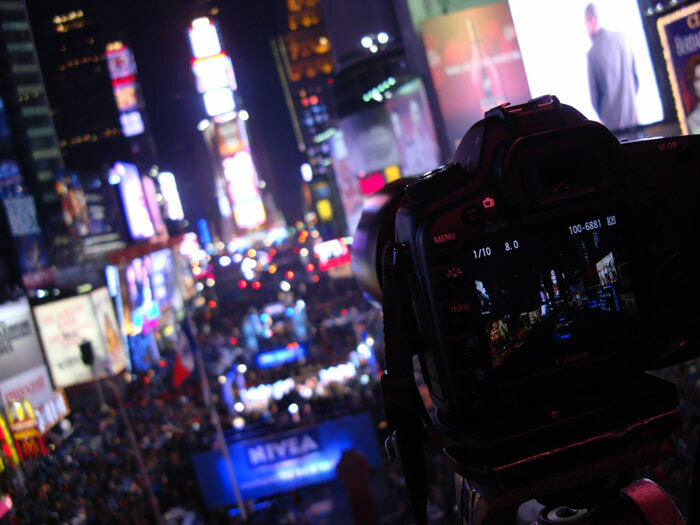 I get to do a completely different kind of photography at the end of every year: an assignment to photograph the dramatic New Year's midnight ball drop at Times Square. 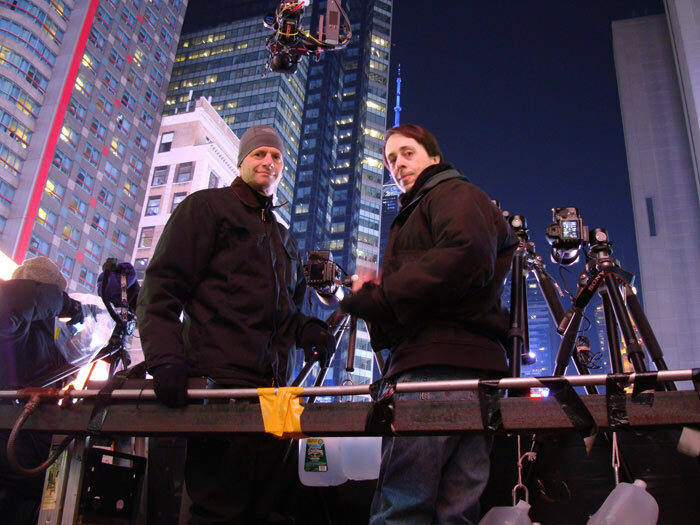 For over a dozen years now, I've been perched on the 4th floor roof setback of Two Times Square, looking south to One Times Square with the ball on top, along with two assistants and a bank of 4-6 cameras waiting to record the exciting end of one year and the beginning of another. Though the final image is visually remarkable, even it can't truly capture the electric energy of the event -- the noise of the crowd and the performers throughout the evening - like being at a concert at the Meadowlands. At first glance, this assignment might seem completely at odds with the imagery the gallery is associated with: contemplative images of the natural world. 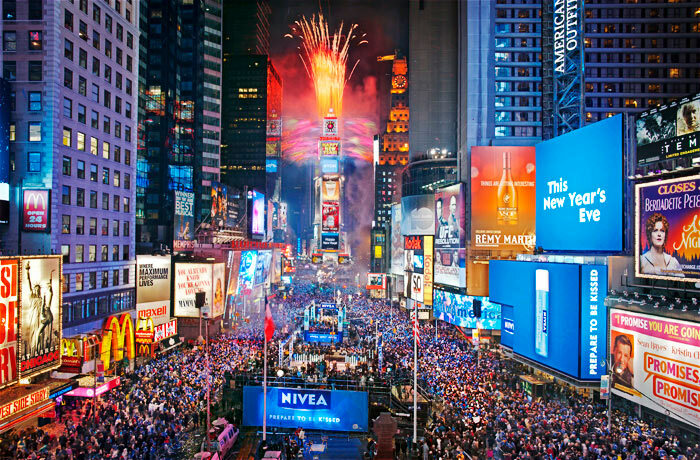 And that is very true in many respects -- nothing could be further from the natural world than to be in Manhattan, in Times Square perched above thousands of people counting down to midnight. However, both types of images have one very important thing in common: successfully capturing a unique event at a precise moment in time. Though the casual observer often assumes the natural landscape is static and requires no thought of timing, nothing could be further from the truth. In fact, it's what we often explain to visitors at the gallery when they ask why their photos don't look the same as the ones on display. The natural landscape is changing minute-by-minute, day-by-day and season-by-season and only by paying attention to these changes can one successfully recognize and capture those unique moments. 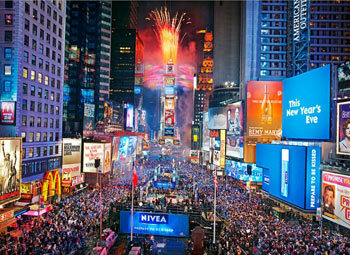 Going forward, we plan to display some of these Times Square images at the gallery as an interesting counterpoint to the fine-art landscapes we've become known for -- please stop by when you are in the neighborhood. Our job is to provide our client with what he affectionately refers to as "the money shot." We used to use medium-format film cameras and have since switched to digital capture. This past year we used two Canon 5D Mark II's, two Sony alpha 900's and one Pentax 645 loaded with Fuji Reala film. After we capture the moment, including the minute or two of fireworks and confetti, we review the results, select the best of the images and painstakingly create a composite image to try to do justice to this spectacular moment. When we're through, I print out a four-foot by six-foot print that my client has on display in his office to help show advertisers and sponsors of the event what they can expect. 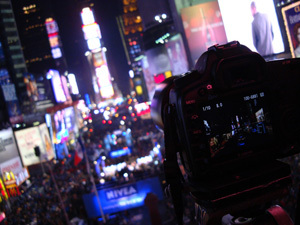 A behind-the-scenes look at photographing the festivities at Times Square on New Year's Eve. 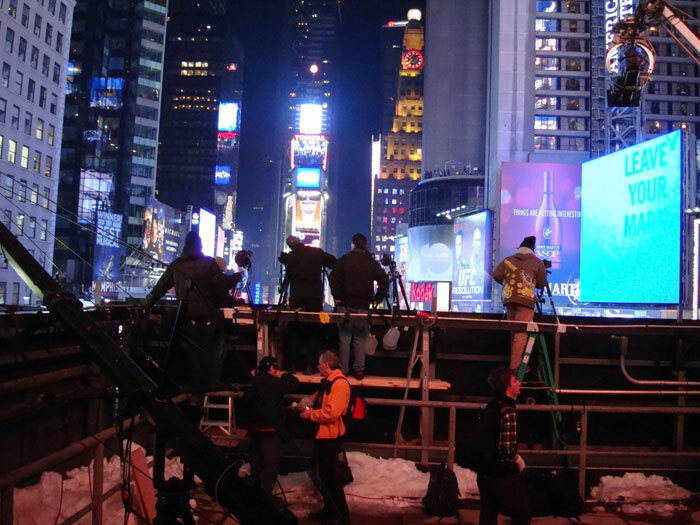 This is the scene on the fourth floor roof setback at Two Times Square. There are a number of still and video crews, including the cameras that carry the live feed for TV. 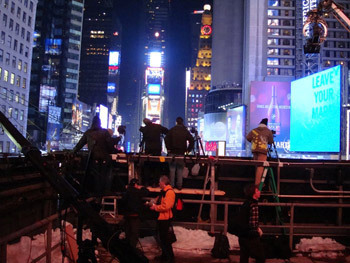 We're all set-up and ready for midnight. The water jugs add weight for stability. 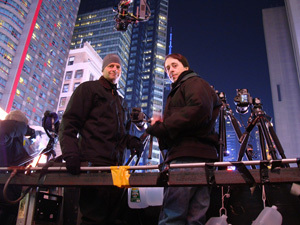 The unit over our heads is one of the TV cameras on a jib boom. This is literally a behind-the-scenes look as it appears at the camera.